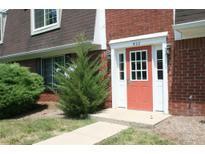 Below you can view all the condos for sale in the Park Hoover Village subdivision located in Indianapolis Indiana. 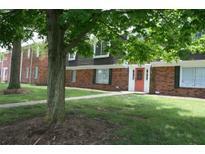 Listings in Park Hoover Village are updated daily from data we receive from the Indianapolis multiple listing service. 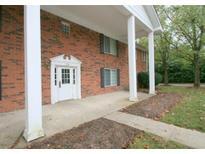 To learn more about any of these condos or to receive custom notifications when a new property is listed for sale in Park Hoover Village, give us a call at 317-586-4012.
lawn care,snow/trash removal; Park Hoover is centrally located near major traffic arteries like Spring Mill/Meridian Sts. MLS#21623899. Kincaid REALTORS, LLC. patio doors,balcony ovlks treed courtyd,x-stor,Nestled on 23 mature treed ac w/lake;walk to JCC/Holiday Park;central location near major traf arteries;carports leased for $10/mo;fee included:water&sewer,haz.ins,ext bldg/lobby maint,lawn(fertiliz/weeding/shrub trim/mow)snow,trash removal MLS#21622240. Kincaid REALTORS, LLC. )laundry,fee included:water&sewer charges,haz.ins,ext.bldg.maint.inter lobby maint.lawn care(weeding,fertilizing,trim.shrubs,mowing)snow removal (parking/sidewalk areas) trash removal, pool/clubhouse. 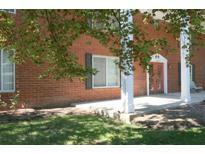 MLS#21619295. Kincaid REALTORS, LLC. Feat:e-i-k,formal Dining Room w/access to privacy fenc.patio(fresh air/space for nature lovers)laundry room (wash/dryer stay)private.master.suite w/private bath/Large walk-in closet,wood laminate floors(no carpeting)repl HVAC/kitchen.ctrtops/2 bath with New floors,newer appli.semi-tax$102!fee included:water/sewer,haz.ins,ext.bldg,int.hallway,lawn(fertilize/weed/shrub/trim/mowing)snow(sidewalks/parking)carports leased for $10/mo MLS#21618230. Kincaid REALTORS, LLC. )fee included:water&sewer,haz.ins,ext.bldg.lawn care,snow/trash removal;Park Hoover is centrally located near major traffic arteries like Spring Mill/Meridian Sts. MLS#21609378. Kincaid REALTORS, LLC.